Download Creative Agency Website Landing Page Template. This is a free website template which is suitable for any small business, corporate, creative agency or photography business. 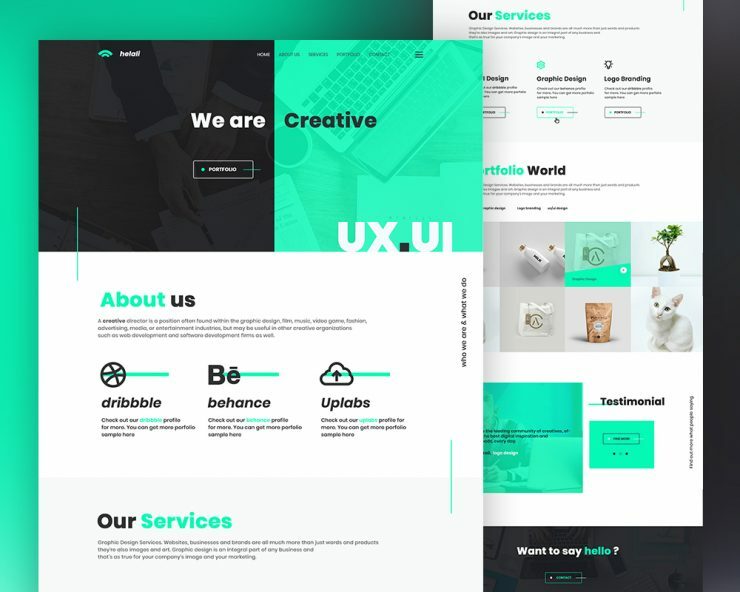 Creative Agency Landing Page Template has all the necessary section and has flat and modern look which is specially designed for creative agency websites but you can use it for corporate and business website as well. It comes with easy to customizable Layered PSD file which can save the time to create your site and make changes according to you web design projects. Feel free to use it in your upcoming personal and commercial project. Hope you like this Free Creative Agency Landing Page Template. Enjoy!